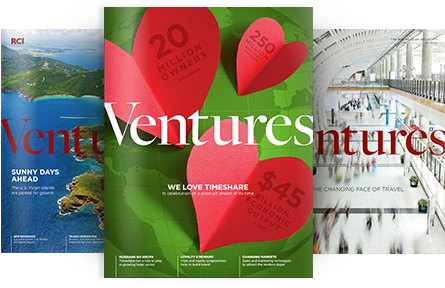 In print and online, RCI Ventures magazine keeps readers updated on the news, trends, success stories, and best practices within the timeshare industry. Across the globe, versions of RCI Ventures magazine are published in Europe, North America, and Latin America, providing resort developer companies, resort management companies, and resort homeowners associations with the information they need to know. There is nothing more important than a positive resort experience for timeshare owners. As the leader in vacation exchange, RCI is proud to affiliate with resorts that adhere to high standards of product quality and service. For more information on affiliating your resort property with RCI, please fill out this contact form. If you are currently an RCI affiliated resort interested in learning more about RCI products and services that can help provide you with added value and improve your owners’ experiences, view our sales tools. RCI’s core business is exchange vacations – helping timeshare owners to exchange their vacation ownership for time at other resorts. 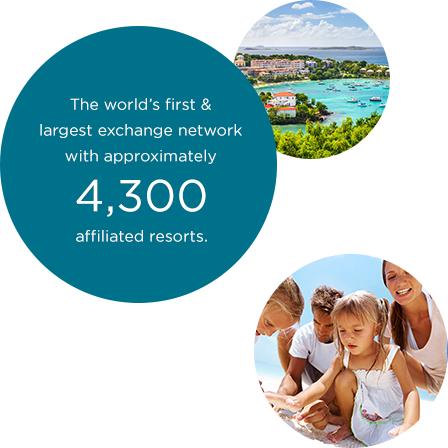 So, to enjoy exclusive benefits through RCI, you must own a timeshare to exchange! Timeshare, also known as vacation ownership, gives vacationers the opportunity to own condominium-style accommodations at quality resorts, which typically offer an array of amenities in popular domestic and international destinations. Learn more about the benefits of vacation ownership. There is nothing more important than a positive resort experiencefor your owners. As the leader in vacation exchange, RCI is proud to affiliate with resorts that adhere to high standards of product quality and service.